How did this title happen? We arrived at the title a month ago. We have been contemplating on a few names. 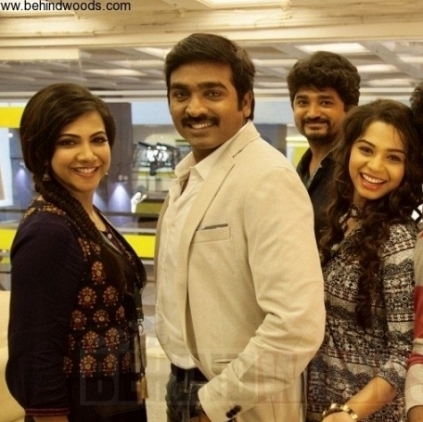 KV sir is always keen to have a Tamil word as a title, which is generally not in use, like Anegan, Ayan or Ko. But he also did not want to make this as a habit. Discussions led us to Kavan which was apt for the subject. We also had a small internal poll and Kavan got the majority of the votes. As regards Tamil as a language, one school says, there should not be a mix of words from another language and it should remain unadulterated. Another school says, only if there is a right mix, will the language evolve. What are your thoughts? I don’t see Tamil as a language. I see it as an embodiment of our culture and tradition. There are many languages in the world and not all of them have this unique trait. They just remain a language and do not carry a tradition or value. If we are looking at Tamil as just a language, we are insulting it. When you check out Siddhar paadalgal or Thirukkural, we have everything pertaining to life in there. These works transcend time. When we have new Tamil words in a popular medium like cinema, it is like a window or an opportunity through which we enter the sea of the language Tamil. I am sure, many youngsters would have accessed Tamil dictionary last evening or googled after the announcement of this word. In my opinion, such moves, especially in a mainstream commercial project, will make at least 1% of the audience to check out and get to know more. Kavan is all set to release soon. Wishing the team the best! 3 films, 2 schedules, 1 month! High speed mode! People looking for online information on K V Anand, Kabilan Vairamuthu, Kavan, Vijay Sethupathi will find this news story useful.